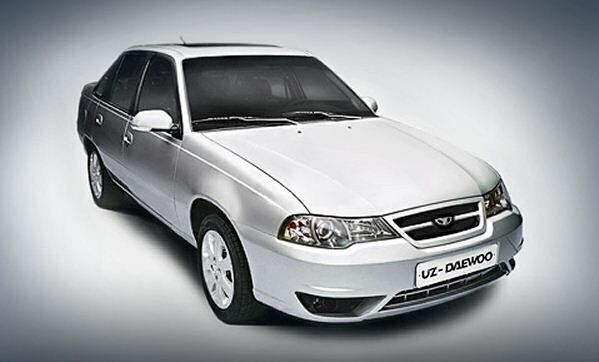 Daewoo Nexia - lovely, isn't it? Remember the Daewoo Nexia? The oriental-style Astra/Kadett reworking? Hardly cutting edge; barely automotive nirvana. The thing is though people bought the Nexia, sure they wanted better but when you have lemonade money to fund a champagne lifestyle you adjust accordingly. Its the reason you don’t eat steak seven nights a week. Trouble was slapping a Daewoo key fob on the bar at the golf club didn’t quite cut it – it was akin boasting your slacks were from Primark. So General Motors had a better idea – CHEVY. You know, good old boys, Californian beach parties, kicking back, Rayban shades, muscle cars, the American dream… YES I WANT IT! Thing is, whilst browsing for 8-litre muscle with NASCAR exhausts, all you ever found was these inoffensive little round cars with a ‘Bow tie’ hastily no-more-nailed to the bonnet. Bugger. Chevy had cultivated the image to die for but attached it to automotive euthanasia. So what other names have the GM executives got tucked away in the portfolio? Hang on how about Vauxhall? Let’s see: rebrand the current Vauxhall range as right hand drive Opels (a familiar sight to our Irish cousins) – you remember those people that made BMW beaters and coupés back in the day – and stick that curled up Griffin on top of the Chevy ‘Bow tie’… just like the Vauxhall Antara (aka Daewoo Winstorm Max) already has. Crazy Idea? Who knows, but we might still have Vauxhall in 2010 if it happens. 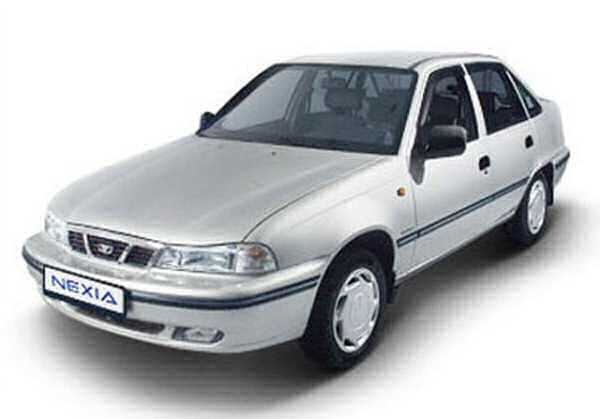 The Nexia is now made in Uzbekistan: remind you of anything Peter Stevens-styled from 2004? Interesting – This has already been done in Australia. Holden (GM local arm)builder of huge RWD V6 and V8 cars also imports Opels (Astra)and rebadges them as Holden – but a worrying trend is that this has now spread to Deawoo cars badged as Holdens – Holden Viva anyone? Rebadged Daewoo grotbox…Holden Barina? Rebadged Daewoo junk…Holden Epica? Rebadged Daewoo….should also be noted that none of the Daewoo models are a patch on the Astra, Corsa and Vectra models….and Holden wonders why they don’t sell……its not rocket science GM…. I always thought the mythological creature was a Wyvern not a Griffin, hence the Vauxhall Wyvern of the 30s. They couldn’t do that, could they? Vauxhall is now a strong brand in the uK, much more than when they designed their own cars and Opel was a semi-prestige brand, mainly trading on its ‘Germanness’. Badging the Lacetti or something as a Vauxhall would destroy the brand. An interesting thought and one that I’m sure cash strapped GM just might cling on to (whilst flushing any remaining Vauxhall brand loyalty down the toilet). Obsolete GM technology? That’ll be the Daewoo. Whilst foisting the excrable CityRover on us, didn’t MG Rover also toy with the idea of a mildly made over Proton Gen-2 to replace the 45? How about a rebadged Epica as the new Omega? Or at least an import from Holden (with sub-v8 options, 2.0 diesel and petrols). The Vectra shooting brake Signum just didn’t fill the gap at all. @EuropeanCarFan Omega badged Epica? Why not – transverse straight 6’s worked for BL after all! Just another low-cost idea to help GM in these difficult times : why not reintroduce the chevrolet Nexia in europe as a budget style family car? Yes it still exists. It is build in uzbekistan, recently restyled by a british firm. And as seemingly they have great difficulty now of selling them into the main export market, Russia, the uzbeks will be very willing to sell them to Europe for some desperately needed hard currency. The only snag of rebranding old 80s designed or shape cars is the lack the crash safety of new/current designed cars of today. I saw the EuroNCAP-type testing film of the Uzbekistan-built Daewoo Nexia and the results were shocking despite the airbags and impact beams in them. European car brands are good at selling the pressings from old dated designs to the emerging markets but are not so keen on selling them in their own markets due to tougher laws. This is my dream car… What an exhaust sound it has – I love it. That could be a goer!